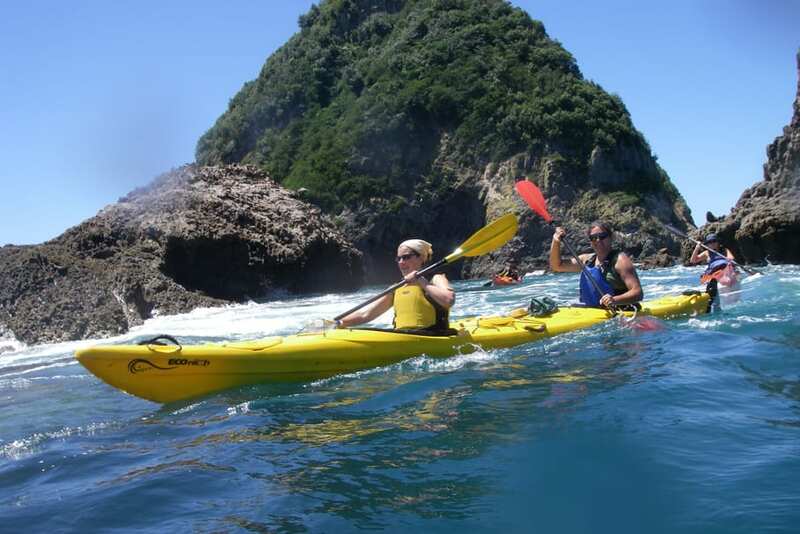 Receive some basic instructions in the safe waters of the beautiful Ngamotu Beach harbour, before heading out into the open sea towards the Ngamotu/ Sugar Loaf Island Marine Reserve. 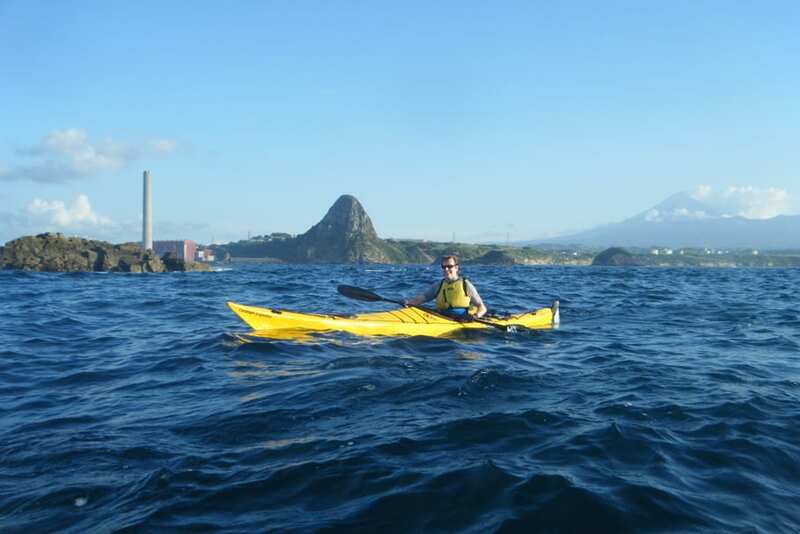 Here you will enjoy the thrill of close up views of a seal colony in its natural habitat, with the spectacular Taranaki mountain, port and power station as our backdrop. 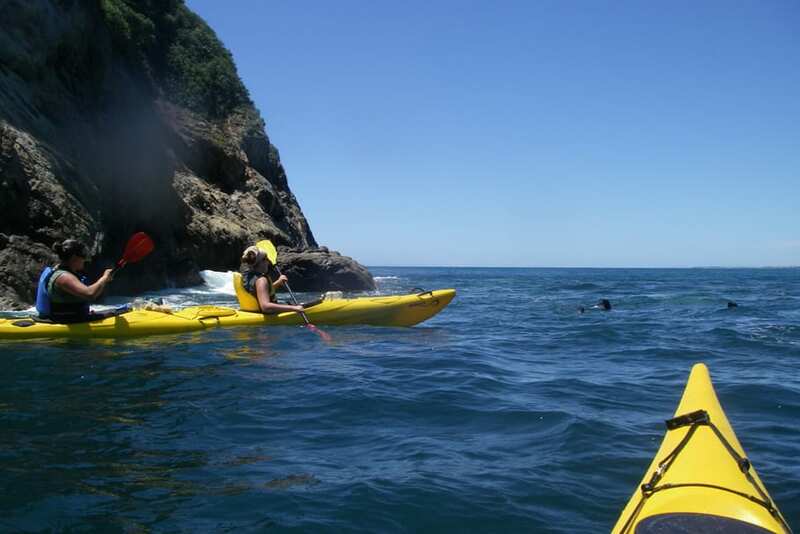 Allow 3 hours for this kayak tour. Departure time is up to the group. This tour operates throughout the summer in fair weather conditions. Pickup and drop off at Canoe & Kayak Taranaki – 468 St Aubyn Street or meet us at the launch site. 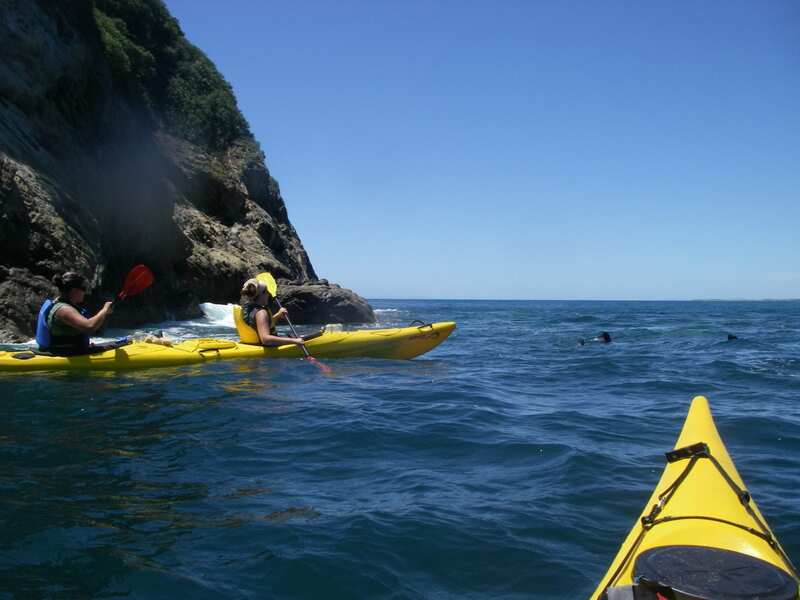 For kayaking bring swimming clothes and warm extra layers– polar fleece, merino or polypropylene – do not wear cotton. Great morning out on the water. Great trip to sugar loaf islands with kids. Peter a great guide. Loads of seals to spot. Good quality kayaks. Really enjoyable trip. We had a lovely time kayaking out to Sugar Loaf Islands with Peter. The seals were so adorable, especially the pups.